The journey is the reward. 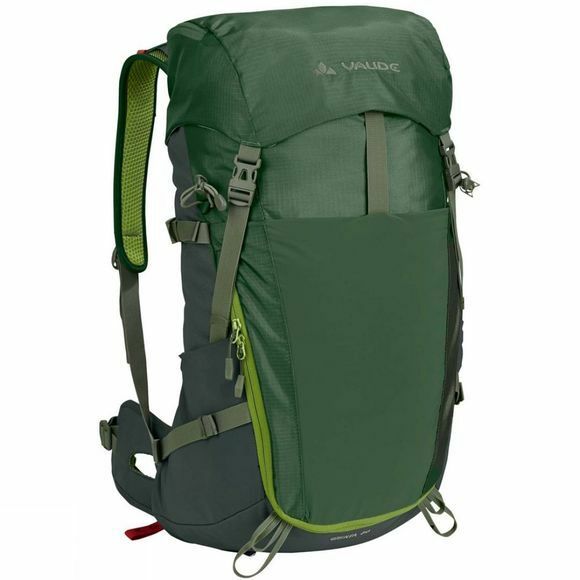 The Brenta 25 Rucksack is a sporty hiking backpack with plenty of features for day trips. The Aeroflex suspension system allows cool air to circulate and the shoulder straps and hip wings also ensure a good microclimate thanks to perforated foam. The Easy-Adjust System allows you to adjust the mesh tension at the back based on the hiking conditions and backpack weight. The shoulder straps can be individually adjusted to different torso lengths with F.L.A.S.H. 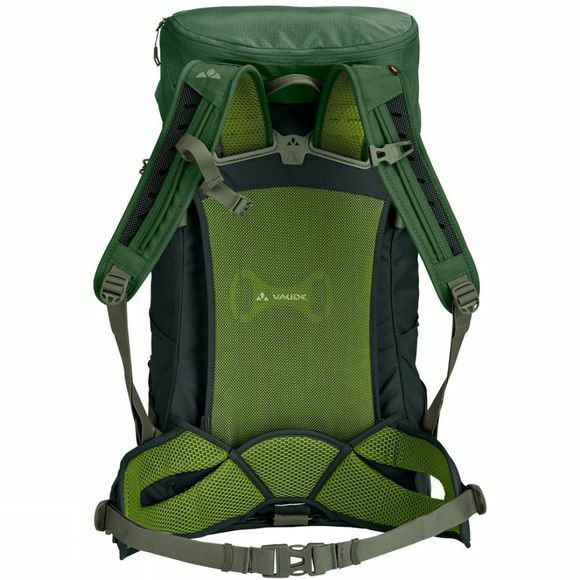 The front access to the main compartment, three stretch outer pockets as well as attachment options for trekking poles or ice pick are practical on tour. To protect the environment, the textile primary materials were made in accordance with the strict bluesign standard, resource-efficient and environmentally friendly manufacturing. Green Shape is Vaude's guarantee for environmentally friendly products – from sustainable materials, resource-efficient manufacturing and fair production.